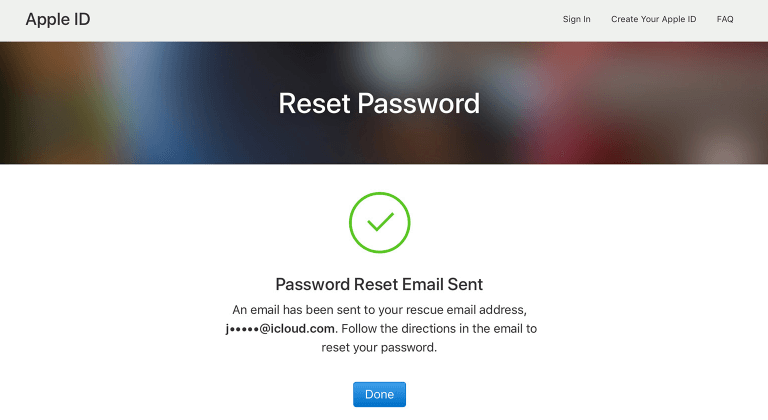 When Will You Need to Reset iCloud Password? If you forgot iCloud password on iPhone, iPad or iPod touch, you can reset iCloud password, or remove the original iCloud account and password from the iOS device in order to create a new one. The guide to achieving the above is described in the following paragraphs. iMyFone LockWiper is designed to perform two unique functions: remove (bypass) Apple ID/iCloud account on all activated Apple devices even when Find My iPhone is enabled, and unlock Apple device screen locks without a passcode. This software works on any model of iPhone, iPad or iPod touch with any version of iOS including the latest iOS 12. 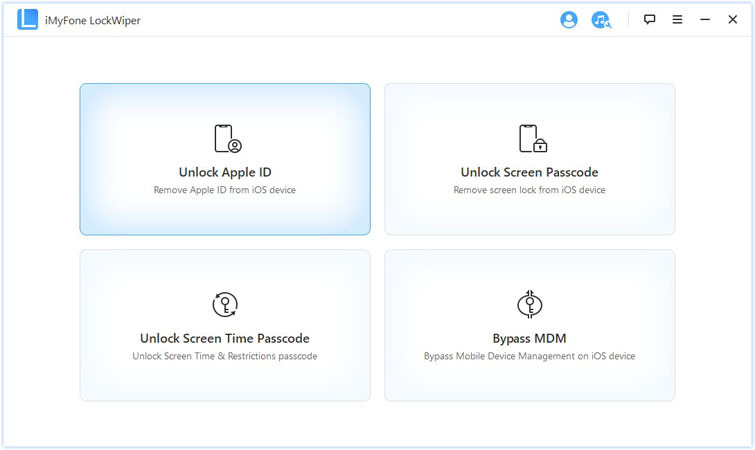 Therefore, if you want to remove iCloud password and account on an activated Apple device, then consider using iMyFone LockWiper. This tool also comes with numerous benefits and features that would help you if you forgot iCloud password to your iPhone, iPad or iPod touch even when Find My iPhone is enabled. Removes the original iCloud account and password from the iOS device even when Find My iPhone is enabled. 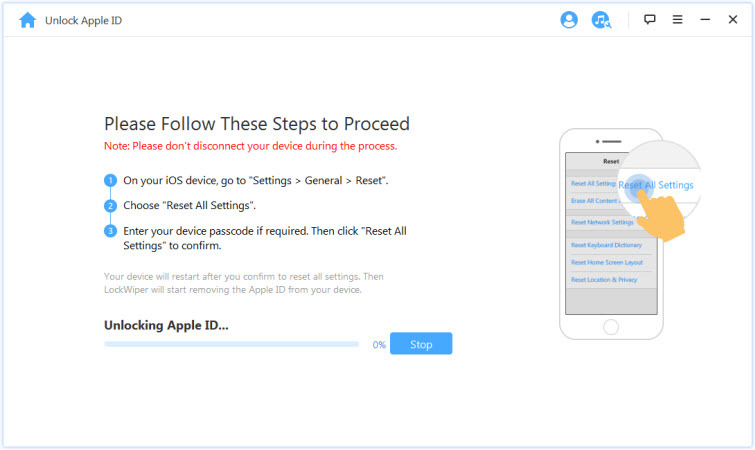 Remove the previous iOS device owner’s iCloud account without providing the password. Gives you full control over your iPhone, iPad or iPod touch. Unlocks iPhone, iPad and iPod touch screen locks without a passcode. Step 1. Download, install and Launch iMyFone LockWiper on your Windows or Mac computer. 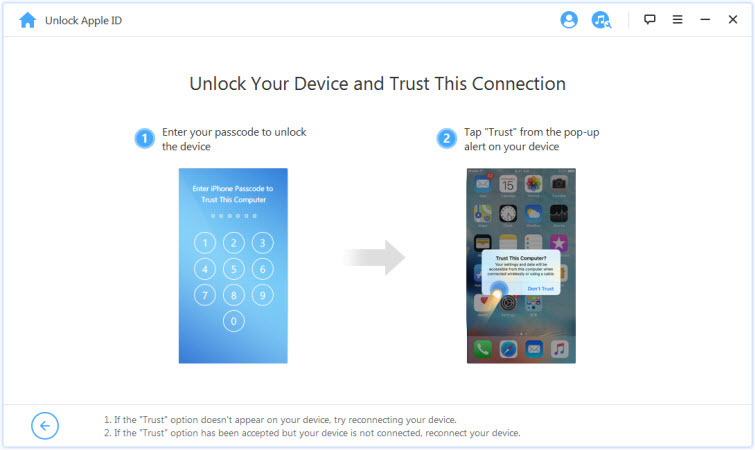 Then, connect your iPhone to the computer and trust the connection. Step 2. Choose "Unlock Apple ID" mode on LockWiper Home screen, and click the "Start to Unlock" button. Step 3. LockWiper will start to remove your iCloud account. If Find My iPhone is disabled on the iOS device, LockWiper will immediately start to unlock your device. You may need to wait for a little for this process to complete. If Find My iPhone is enabled on the device, please reset all settings, go to “Settings > General > Reset All Settings”. At the end of the process, LockWiper will start to remove unlock your iCloud account. You will have to exercise patience as this process may take a little while to complete. At the end of this process, the previous Apple ID and the iCloud account will no longer be registered in the device; you can now create a new Apple ID and iCloud account on the device, or add an existing one. Step 1. 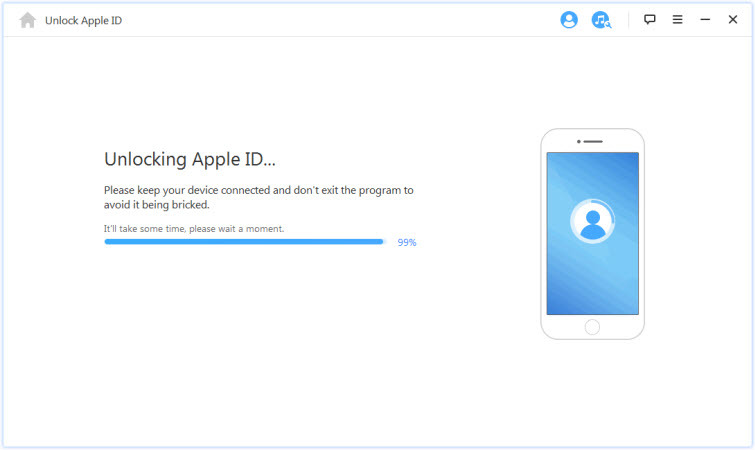 Go to the Official Apple ID recovery webpage at appleid.apple.com. Step 2. Click on the “Forgot Apple ID or Password” tab. Step 3. Input your Apple ID and hen click the “Next” tab. Step 4. Answer the security question you chose when creating the iCloud account, or you can retrieve your Apple ID password from email. If you choose email authentication. 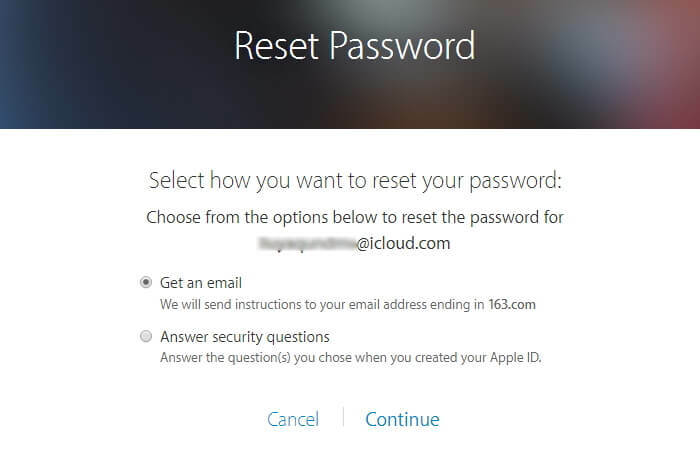 You will find a message in your email with the caption “How to Reset Your Apple ID Password”. 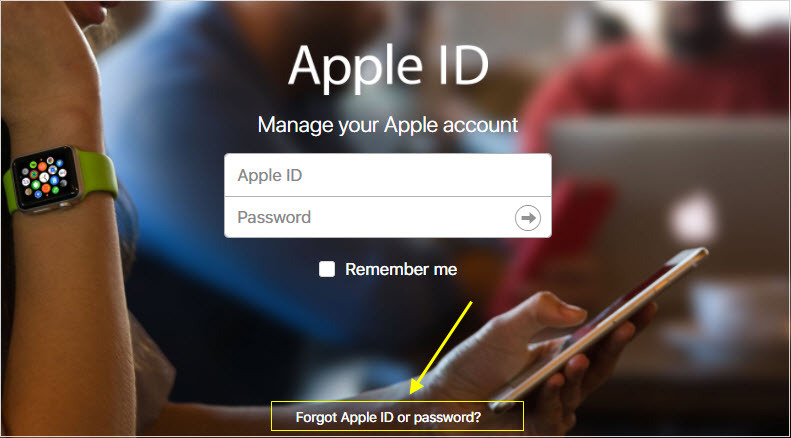 You can follow the link and instructions to create a new Apple ID password. If you choose “Answer Security Question” you’ll have to enter your birthday and the answer to the security question you set up, and click the “Next” tab. Step 5. Type in a new password into the two fields provided, and click “Reset Password”. The above solutions are very helpful when you want to reset iCloud password, but iMyFone LockWiper offers more robust benefits as it can be useful even when the iCloud account it not originally set up by you.